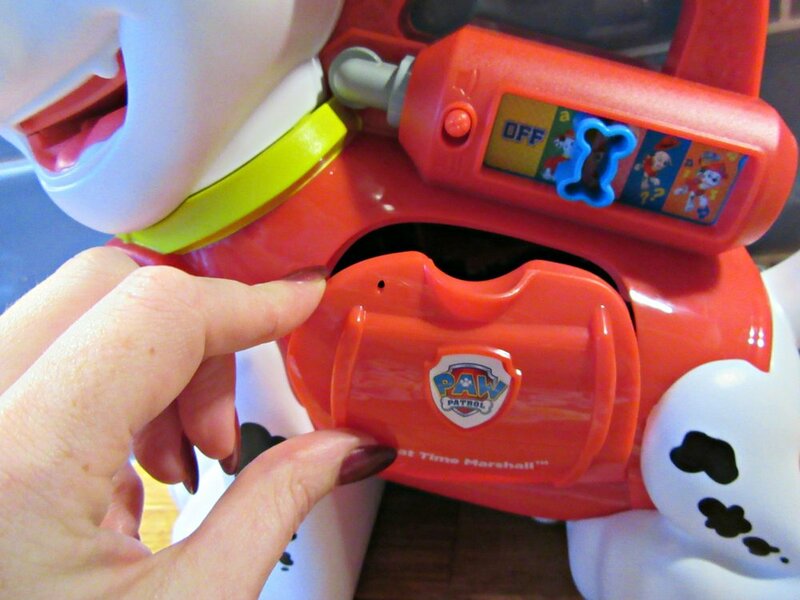 This Vtech Treat Time Marshall is a robust plastic toy, that can be carried around like a bag. 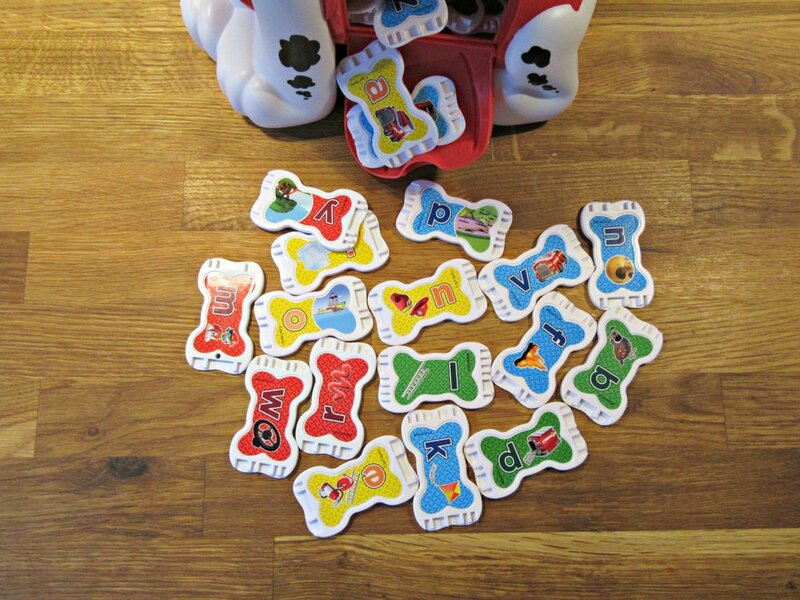 The 26 treats work with the different sounds, games and learning and can be easily stored away in Marshall's belly when not being used. 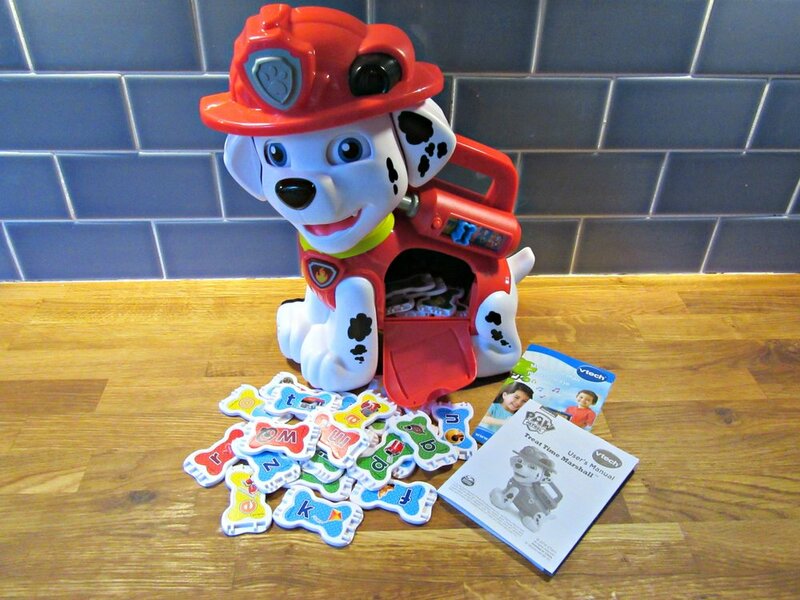 Marshall can learn the first letter of your child's name in which to make it a much more personal experience for your little one, which is a bit special for a toy I think. Simply follow Marshall's instructions to find the letter, colour or sound amongst his treats and place it in his mouth. The Treat Time Marshall comes with over 250 sounds, songs and phrases so it takes a long time before it gets repetitive (important info for parents that ;) hahaha). It is a 'straight out of the box ready' toy, meaning it has the batteries already in place and ready to play once out of try me mode and no battling with the excited, impatient tantrum whilst trying to set it up (thanks Vtech packaging, this is great news this Christmas). Over all, as a parent I love this toy. It is helping me do my job at home and going hand and hand with the work he is doing in Reception Class at school. 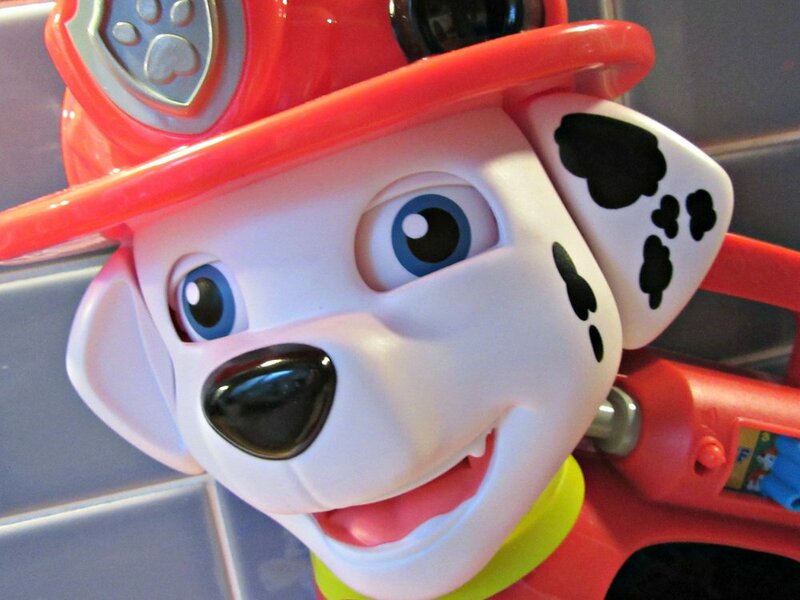 It is one of the most popular characters with children this age and so a fail safe option for a present. It was also in 'top for tots' in the Dream Toys 2016 list and we are very lucky to have it in our Santa sack. 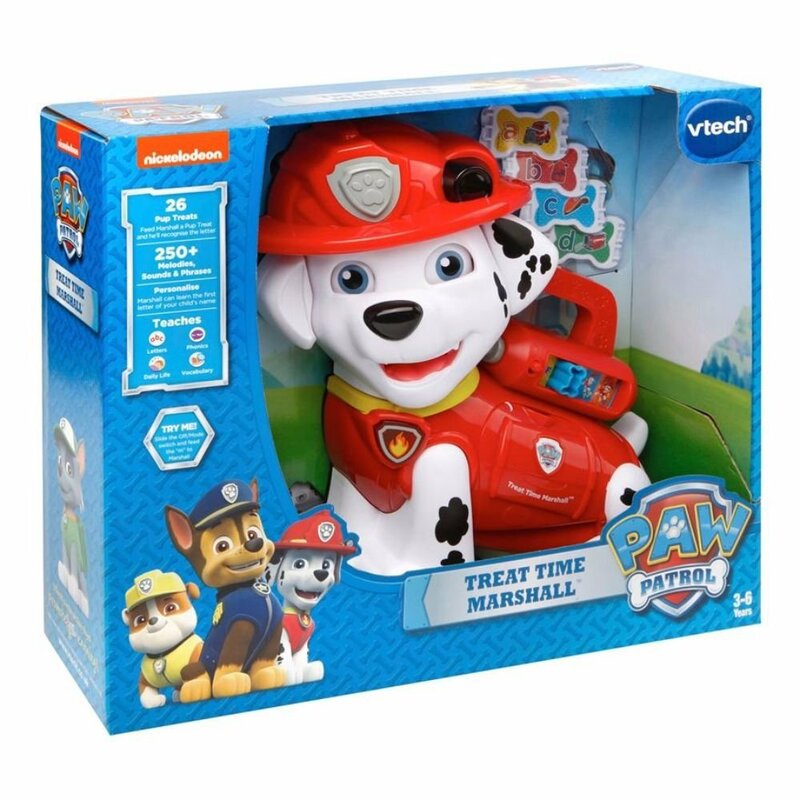 Box Includes: 1 x Paw Patrol Treat Time Marshall. 26 treats. Batteries Required (included in box). Assembled dimension of 102 x 306 x 300cm.